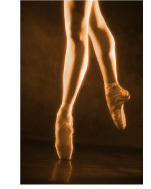 The Westberry Dance Recital is presented annually and is a professional level production. The recitals are designed to afford our students the opportunity to showcase their talents and accomplishments in a full scale production. Britton: Sunday, May 12 tentatively at 4:30 p.M.
Ellendale's recital schedules will consist of practices on stage and class/individual pictures on Monday, April 30. Practice/picture schedule to come. Recital day in Ellendale will consits of an afternoon full dress rehearsal (great for photos, videotaping), then a break for dinner before all students report, in full costume and makeup, backstage for the evening performance at 7:00 p.m.
Britton's recital will be Sunday, May 12th. There will be a dress rehearsal / pictures on Wednesday, May 7th. This schedule will be coming as to times to report on stage and for pictures. The recital on Sunday will consist of an early afternoon full dress rehearsal (great for photos, videotaping), then a short break before all students report, in full costume and makeup, backstage for the evening performance at tentatively 4:30 p.m.
We will have a professional photographer available for photographs, as well a videographer to professionally tape the performance that night. There will also be flowers and gifts for your little performer available for purchase. Touring is mandatory for junior and senior classes. The Britton Junior Ballet & Tap class, as well as the Senior classes will travel to perform in the Ellendale recital on May 1st (report at 3 p.m. on stage to practice) and the Sisseton recital on May 8th. Please (report at 4 p.m. for dress rehearsal). The Ellendale Juniors and Senior Classes will perform in the Britton recital on Wednesday, May 2 (report at 3:30 p.m.).